It has been a hard, long winter for many of us this year. Not only the deep snow, cold, and ice kept many hibernating much of the winter. Our souls may have also suffered, feeling the bite of frosty relationships, the despair of the long dark nights, and the grief that comes from loss of many kinds. Spring has been painfully slow to come. Finally, as if to time itself with the celebration of Easter, nature is bursting forth and our spirit is gently encouraged with the drinking in of new life around us. Hope is reborn. We are reminded once again through the tenacity of life that we can learn to fly again. 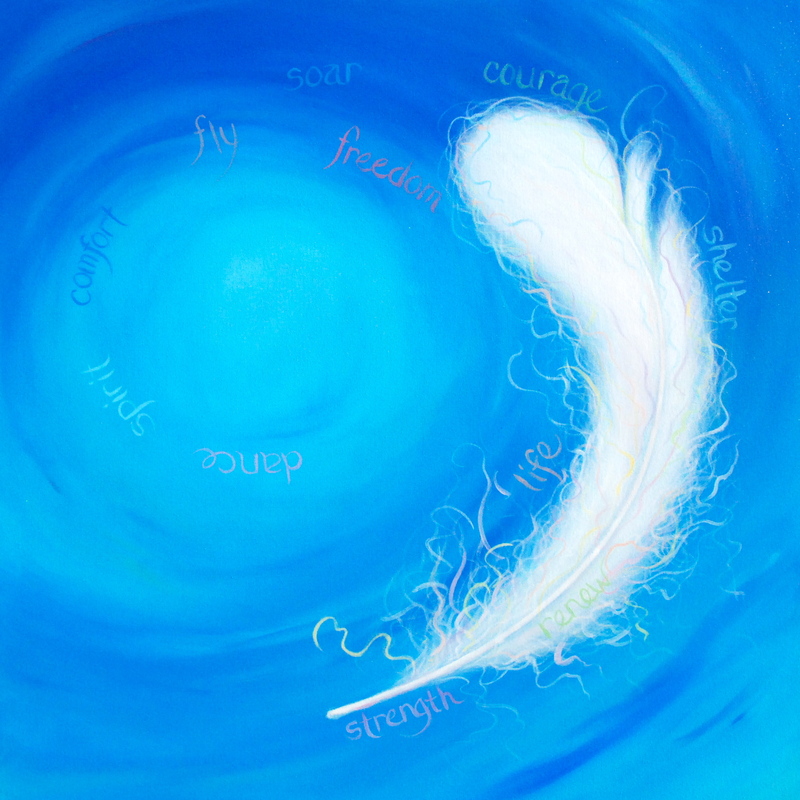 This painting entitled Learning to Fly was commissioned by the Hansen family to honour their father who died 11 years ago. Henning Hansen celebrated his family, was kept centred by his faith, and explored his adventuresome side by learning to fly small aircraft. He had a soft spot in his heart for those who are going through long dark nights, and strove to support them to hope again. I was invited to create a painting that would celebrate Henning and be appropriate to hang in a “quiet room” in a transition house for women and their children. My hope is that this painting will provide a space in the middle of the winters of the spirit, for the budding of renewal and rebirth. May you learn to fly. Beautifully said, Deb, and the painting is just perfect. Thanks for sharing. Thanks, and you’re welcome! It was a great piece to work on. Beautiful, and a fitting piece for instilling peace. Just love this gentle piece and wish there was an opportunity to get a print of it. It will speak to many hearts who need that encouragement.